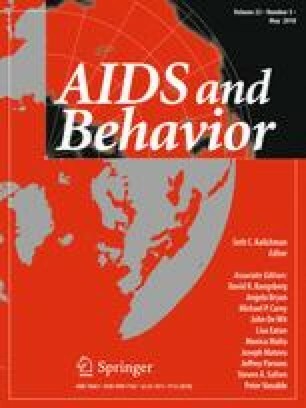 An association between problem drinking and depression among HIV-infected individuals has been previously demonstrated; however, which specific risky drinking behaviors are associated with higher levels of depression has not yet been investigated. Using an adult sample of HIV-infected primary care patients (78% male, 94% Black or Hispanic), we investigated whether depressive symptoms are associated with various risky drinking behaviors. Participants were administered the Beck Depression Inventory-II to assess depressive symptoms, and the Alcohol Use Disorders and Associated Disabilities Interview Schedule-IV to evaluate alcohol involvement. Participants with depressive symptoms (26%) were at higher risk for alcohol dependence [adjusted odds ratio (AOR) 3.8; 95% CI 2.0–7.2], regular binge drinking (AOR 2.0; 95% CI 1.1–3.8), and regular daytime drinking (AOR 2.1; 95% CI 1.2–3.8), in comparison with their non-depressed counterparts. Because both depression and unhealthy drinking negatively affect medication adherence and clinical outcomes, a better understanding of the association between depression and certain risky drinking behaviors among HIV-infected individuals is vital to improving their care and prognoses. We thank Derek Maloney, MD, and Erin Delker, MPH for their editorial and statistical guidance. This work was supported by the National Institutes of Health (NIH) (Grant Nos. R01AA023163, R01AA014323, R01DA020647, K23AA023753) and the New York State Psychiatric Institute. The content is solely the responsibility of the authors and does not necessarily represent the official views of the NIH. National Institute on Alcohol Abuse and Alcoholism. Drinking levels defined. https://www.niaaa.nih.gov/alcohol-health/overview-alcohol-consumption/moderate-binge-drinking.